Suggested donation: $8 conc & students/ $15 Adults. ​There will be plenty of room. 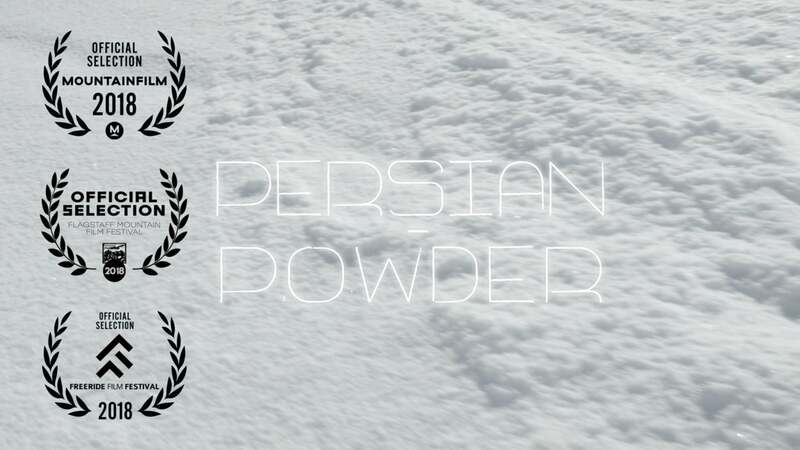 This mini documentary tells the story of Iranian pro snowboarder Mona Seraji who invites two fellow snowboarders from Australia, Amber Arazny and Michaela Davis-Meehan, to come discover the wonderful mountains of Iran. Thank you Mona for bringing all of us together. Big thanks to our sponsors Martijn and Mitchel at Budgetcam.nl (camera-equipment), Parsonline and The Red Line team for making this possible. Thanks: Anthony Julen, Sina Shamyani, Nisa, Reeza, Wikke van der Burg, Maaike Neuville, Susan Tanghe and everyone involved in this project. 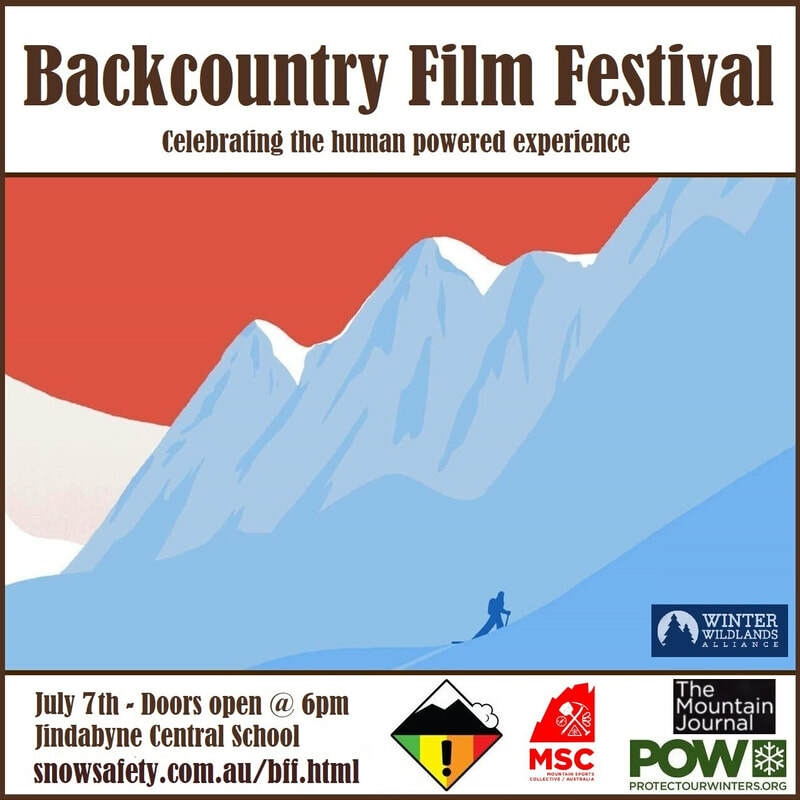 In this year we have a great short production about a late season mission to ski Mt Townsend on the Main Range of the Snowy Mountains. "With the Australian ski season coming to the end, I joined Australian sisters and pro skiers, Anna and Nat Segal, for one last push for the hills. 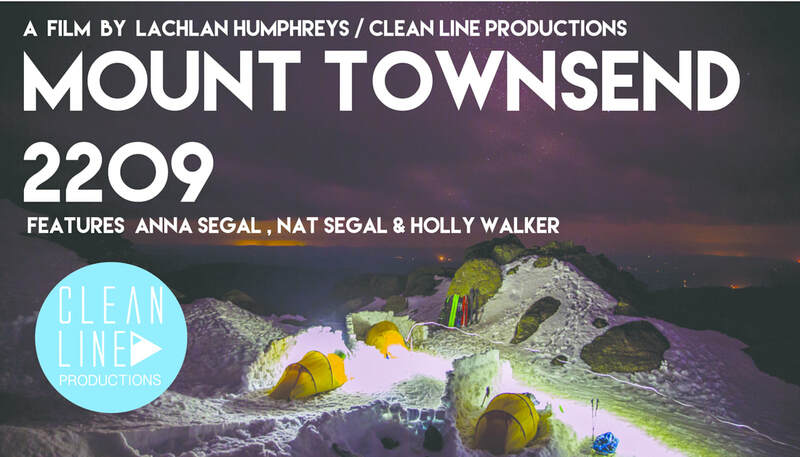 Filmed in October last year, Mount Townsend 2209 follows Anna and Nat as they spend five days camping and touring together under the peak of Mount Townsend, together with their American/Canadian skier friend, Holly Walker. Ski touring is undergoing a rebirth; a new form of free skiing, attracting people to the great outdoors and encouraging people to venture beyond the boundaries of ski resorts. There is no better way to explore the vast terrain Australia has tucked away than to camp out under the stars and experience the magic of the sunset on the western faces. The sisters’ mission was to nut out a plan for their upcoming ski film, Finding the Line and they felt Mount Townsend was no better place to do so"
​Exploring the tidepools of a deserted tropical beach, a young boy finds a mysterious treasure washed upon the rocks. The space within whispers of another world, holding magic unlike anything he has seen before. In this short expedition skiing piece, Noah Howell and Ben Peters head into Alaska’s Ruth Gorge to see what they can find. With great weather, good preparedness and a ton of lucky they tick off two incredible steep skiing lines in one of the most beautiful settings on the planet. Shot in light and fast gorilla style, these two ski mountaineers provide a well documented epic adventure sharing what they love to do most. Nature has two meanings, on the one hand it is the natural environment where all living and inorganic beings develop; And on the other, nature is understood as the essence of a Being. To destroy nature, not to respect its wealth, dynamism and laws, is equivalent to not respecting the human being who must live from it and with it. When it is not treated properly and with benevolence to the nature, the human being does not behave with dignity with its fellowmen. The human being is becoming more and more aware of the need to preserve the natural environment in which he develops. Ecological problems are also moral problems, since the well-being of the human being and his subsistence depends on its solution. Below 0 ° is an animated short film that uses fictional documentary as its main narrative resource. The main theme concerns the life of Vladimir Kozlov, a 50-year-old Russian-born meteorologist, who by the time of the alleged audio recording would have had about 20 years of living in the Arctic. The events narrated in this audiovisual were based on the decade of the fifties of the twentieth century. The events are narrated metaphorically from a voice recording of Kozlov himself, who is accustomed to document his experiences and thoughts experienced in this inhospitable place, in such a way that the voice that is heard is that of the character himself. Dr. Jane Zelikova is a tropical ecologist living in the mountains of Wyoming and Colorado. She dreams of snow in the summer and tropical forests in the dead of winter. But her snow-capped Fourteeners are changing – no longer bringing the deep winter snowpack once promised. This is a future from which she and the people of the West can’t run. What’s a wildly curious, adventurous girl to do? Embark on a journey into the mountains to find the tales of the past, present and future of snow. There will be adventure. Friendships will form. She will dig holes, and fall down those holes. But like any good story, the characters she meets will help show her the way, a map for living in a world beyond the end of snow. Caroline Gleich, Wasatch Mountains, Utah photo:Adam ClarkPeople have opinions about skier Caroline Gleich: Inspirational. Gumby. Social media star. Role model. Model masquerading as a mountaineer. At sixteen, she stumbled upon a copy of the cult classic guidebook The Chuting Gallery. Irreverent and wonderfully arbitrary, the guidebook lays out a set of 90 ski mountaineering lines across Utah’s Wasatch Mountains. They were difficult and dangerous. When she first said out loud she wanted to ski them, she was met with laughter. “Maybe it was because I was five feet tall, or I was a little blonde girl, but I remember that clearly — and it didn’t feel good” says Gleich. After a decade building her skills, Gleich set out to complete her vision and become the skier she dreamt of being. ‘Follow Through’ is a story of loss, belonging and desire for respect. In this age of hyperconnectivity, which voices do we choose to hear and which do we ignore? A trio of powder professors ascend Alaska’s Chugach, rising above the desolate and rain-soaked primordial soup of lower elevations, and evolving upwards into the purple-hued peaks that tower above the clouds — a world of brilliant color and life. The mountains become the laboratory in which they embark upon extensive study and experimentation, in order to form theories on some of mankind’s oldest questions: how did life begin, and what makes this life worth living? Join Mark Ortiz on his self-filmed venture to ski all of Idaho’s Twelve-Thousand footer peaks last season. Project alternatively known as “It’s just right over there”. “I came home from war. War never really left me. Some of my friends came back in boxes. Others filled those boxes Stateside. Climbing and skiing kept me out of the grave. Follow Stacy Bare in this film with his ongoing project Adventure Not War: To promote world peace and understanding through adventure.